Damn you Ford. One character from Return to Rander enjoying a cold one while very depressed. Lucky episode 13 brings you the new exclusive Return to Rander print that will be used as a kickstarter pledge level in March! It may just be a kickstarter exclusive, so don’t expect to pick one of these up at a Con unless there are some left over! 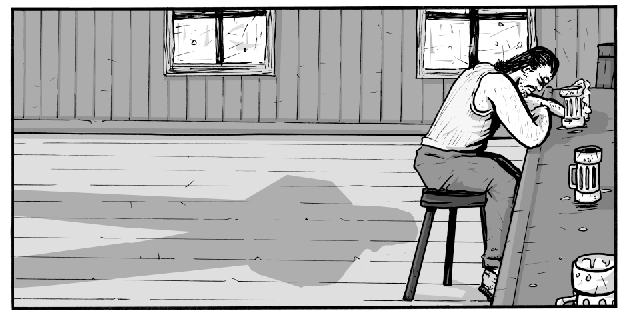 And if you haven’t already please check out the exclusive Issue 1 Preview HERE! 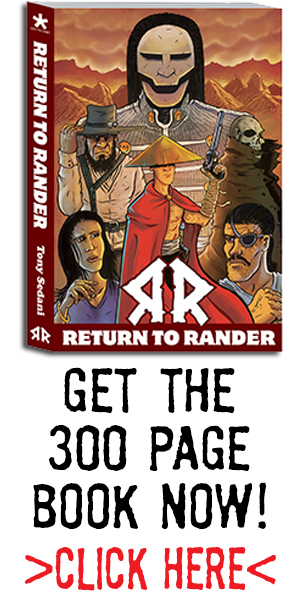 RETURN TO RANDER EXCLUSIVE PREVIEW ONLINE! 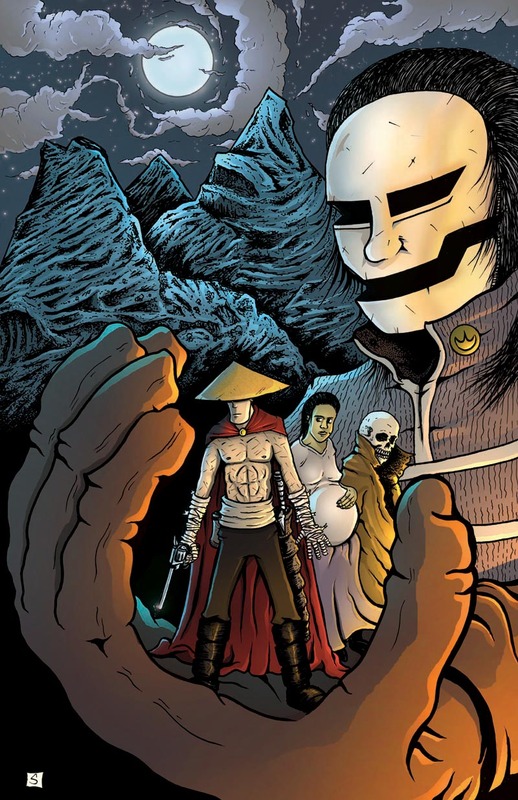 Come check out the first 6 pages of issue #1 right now! 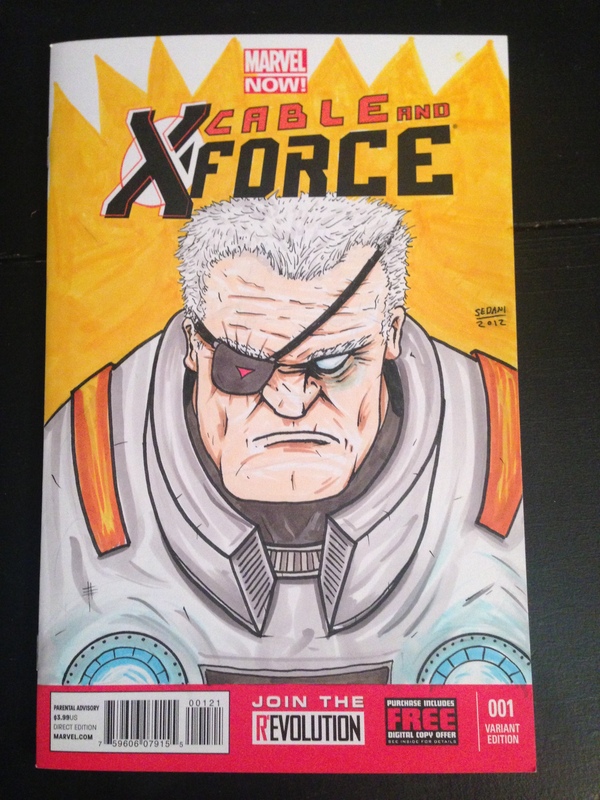 Cable & X-Force #1 Sketch cover by ME! I used the usual Copic toolkit of pens brushes and markers to put this together. Hope you enjoy! Finally we have reached 2013, the year of Rander! 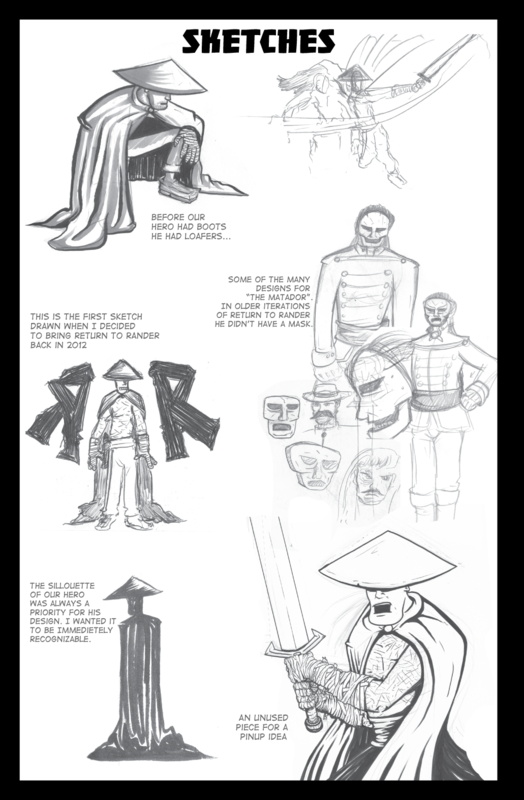 This week’s episode will show you an actual page out of the back of issue #1! This is going to be some extra stuff you get aside from the story. 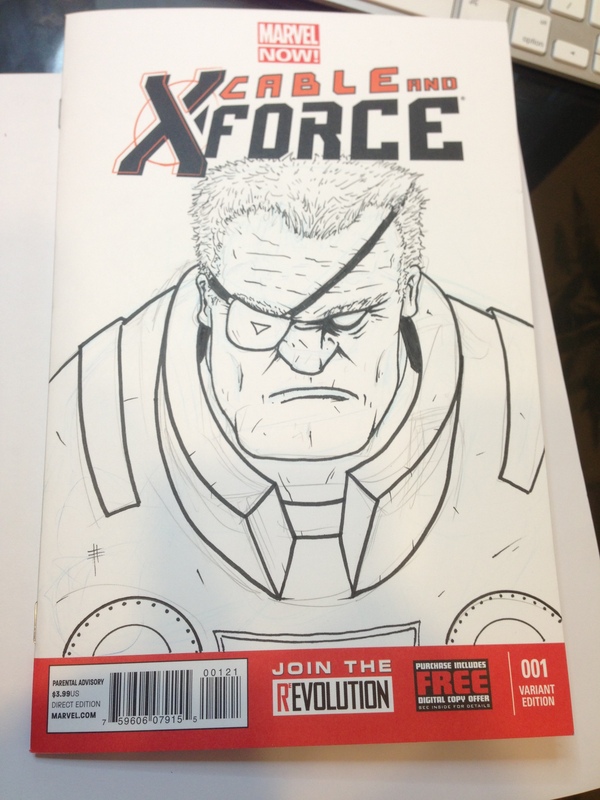 Also please check out http://www.facebook.com/returntorander and LIKE the comic. 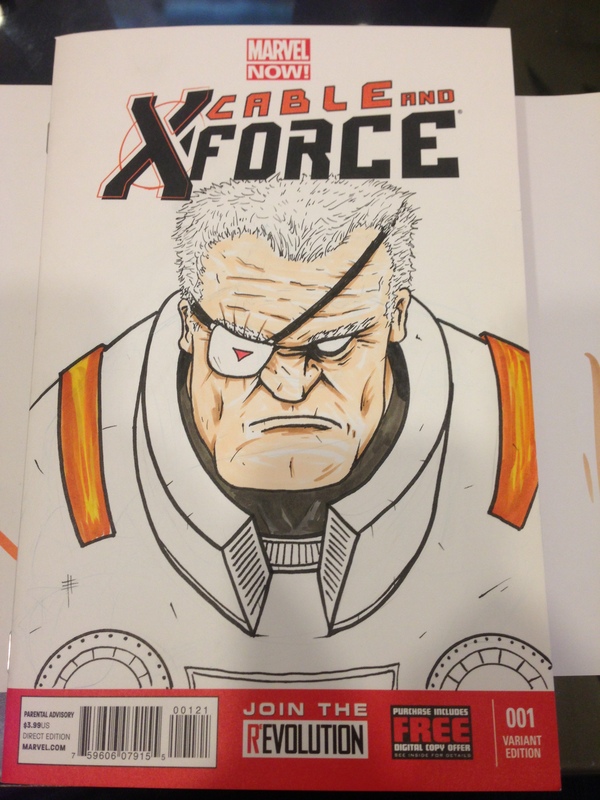 I will be posting exclusive things just to the facebook page, including a 5 page preview of issue 1 next week!